Mirna Mroueh MBA is the founder of Trireme (est. 2013) with a managerial and marketing experience. After completing her studies in the Netherlands, Mirna (born 1975) worked as the marketing manager of various companies in Lebanon and the United Arab Emirates (UAE). Her experience in defining, developing and executing marketing and communication strategy for several companies has been a significant and valuable contribution that enabled her to acquire a lot of expertise and flexibility from being a team player to a decision maker. Mirna Mroueh has led demonstrated senior level leadership and management skills that enabled her to startup and lead the expansion of Trireme in the Middle East. 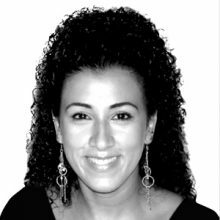 Since the mid of 2013, Mirna Mroueh has been the Founder and General Director of Trireme Groups, a UAE based firm in the area of consultancy services. The company provides consultancy services related to High Performance Organizations (HPO) that will enable companies to develop a strategy that is unique compared to the peer group. Trireme works with clients to develop and deliver innovative solutions that can successfully transform an organization’s management capabilities and performance to achieve enduring value.